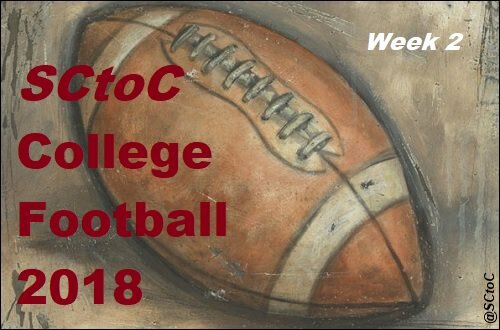 Welcome to SCtoC's week 2 coverage of the 2018 College Football Season. What: It's an in-state battle as the Vikings head south to face the Ducks. When: Saturday, September 8 at 11 a.m.
Radio Stream: Vikings - Rip City Radio 620; Ducks - 750 The Game. Head Coaches (overall as HC): Bruce Barnum (12-23); Ducks Cardinal - Mario Cristobal - (27-48). Note(s): The Vikings jumped out to a 9-0 lead 11 minutes into their season opener at Nevada, but were outscored 72-10 the rest of the way. Charlie Taumoepeau caught three passes for 130 yards and a pair of touchdowns for the Vikings. Justin Herbert threw for 281 yards with five touchdowns and two interceptions to lead the Ducks past Bowling Green, 58-24, the season opener at Autzen Stadium. Eugene is a little over two hours south by car from Portland. What: The Eagles are in Northern Arizona to battle the Lumberjacks. When: Saturday, September 8 at 4:05 p.m.
Where: Walkup Skydome; Flagstaff, Arizona. 2018 Records: Eagles 1-0 (0-0 Big Sky); Lumberjacks 1-0 (0-0 Big Sky). Head Coaches (overall as HC): Eagles - Aaron Best (8-4); Lumberjacks - Jerome Souers (120-108). Note(s): The Eagles racked up 677 yard of total offense in their 58-13 blowout win over Central Washington in week 1 in Cheney. Gage Gubrud completed 19 of 23 passes for 337 yards and no interceptions, while Nsimba Webster caught 10 balls for 212 yards and two scores. Sam McPherson amassed 185 yards on 15 carries and a touchdown. Lumberjacks' head coach Jerome Souers is in his 21st season at the helm of the team. The Lumberjacks jumped out to a 17-0 second quarter lead and went on to down Texas-El Paso in their season opener, 30-10. Case Cookus went 19 of 26 for 211 yards with two touchdowns and an interception. Emmanuel Butler caught six passes for 138 yards and two touchdowns. While in the same conference, the teams did not face of against one another last season. What: It's an early season Pac-12 match up as the Trojans visit the Cardinal. When: Saturday, Sept. 8 at 5:30 p.m.
Where: Stanford Stadium; Palo Alto, California Memorial Stadium. 2018 Records: Trojans 1-0 (0-0 Pac-12 South); Cardinal 1-0 (0-0 Pac-12 North). Head Coaches (overall as HC): Trojans - Clay Helton (28-10); Cardinal - David Shaw (74-22). 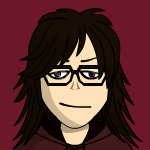 Note(s): J.T. Daniels passed for 282 yards and a touchdown and the Trojans pulled away from UNLV in the fourth quarter in week 1 en route to a 43-21 win at Los Angeles Memorial Coliseum. Aca'Cedric Ware rushed for 100 yards and a score and Armon St. John had seven catches tor 98 yards and a touchdown for the Trojans. Heading into the season, last season's Heisman runner-up, Bryce Love, came into the season as the favorite to win the award. In the opener, however, it was the K.J. to J.J. show. Quarterback K.J. Costello and wide receiver J.J. Arcega-Whiteside connected for three touchdowns as the Cardinal won their opener against San Diego St., 31-10. Costello finished 21 of 31 for 332 yards and four touchdowns, while Arcega-Whiteside had six receptions for 226 yards to go along with his three scores. The Trojans defeated the Cardinal in last season's Pac-12 Championship Game, 31-28; the teams' most recent meeting. What: The Golden Bears look to go 2-0 on the season as they visit the Cougars. When: Saturday, September 8 at 7:15 p.m.
Where: LaVell Edwards Stadium; Provo, Utah. 2018 Records: Bears 1-0 (0-0 Pac-12 North); Cougars 1-0 (competes as independent). Head Coaches (overall as HC): Bears - Justin Wilcox (7-6); Cougars - Kalani Sitake (14-13). Note(s): Bears head coach Justin Wilcox is 4-0 in non-conference games after Cal held off North Carolina in Berkeley, 24-17 in the season opener. Running back Patrick Laird finished with 29 rushed for 95 yards and a touchdown, and caught a touchdown pass for the Bears. The Cougars are facing a Pac-12 team for the second straight week after surviving a late Arizona rally last week to earn a 28-23 win. Running back Squally Canada led the way for BYU, rushing 24 times for 98 yards and three touchdowns. Twitter: Golden Bears * Cougars. What: The Huskies make the trek across country to encounter the Broncos. When: Saturday, Sept. 8 at 7:15 p.m.
2018 Records: Huskies - 0-1 (0-1 American Athletic); Broncos 1-0 (0-0 Mountain West - Mountain). Head Coaches (overall as HC): Huskies - Randy Edsall (99-114); Broncos - Bryan Harsin (50-17). Note(s): Huskies head coach Randy Edsall is in the second season of his second stint in with UConn, and his 14th season overall with the team. He is looking for his 100th career coaching win. David Pindell threw for 266 yards with a touchdown and an interception in the Huskies' 56-17 loss in week 1. He also rushed 22 times for 157 yards and a score. Kyle Buss has seven receptions for 113 yards. Brett Rypien completed 20 of 28 passes for 305 yards and four touchdowns in the win. Rypien looks to rely on Sean Modster in this one. Modster accumulated 167 yards on seven receptions with a pair of touchdowns, while C.T. Thomas gathered three catches for 68 yards and a touchdown. I am definitely going to be here tonight for the Stanford game! Go Card! No surprise with the Ducks clobbering Portland St. Next week should show more of how competitive PSU might be this season. Our defense can't stop the run. They may review this. I'm not sure he got his foot in. If it's out of bounds, then the roughing the passer will make it halfway to the goal and 1st down. I don't even like giving up a FG to these guys.